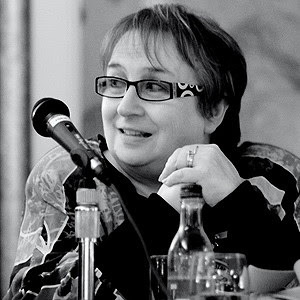 Jacey Bedford is a British science fiction and fantasy writer with novels published by DAW in the USA and short stories published on both sides of the Atlantic. She lives in an old stone house on the edge of Yorkshire's Pennine Hills with her songwriter husband and a long-haired, black German Shepherd (a dog not an actual shepherd from Germany). She's been a librarian, a postmistress, and a folk singer with the vocal harmony trio, Artisan. She once sang live on BBC Radio 4 accompanied by the Doctor (Who?) playing spoons. I've always had an urge to make things. I think I shocked my English teacher at school when given homework to write something about a storm at sea, and instead of the usual 2 page essay, I turned in a 20 page story. I also wrote a couple of plays while I was at school, both of which we performed. My first attempt at a novel (thankfully unpublished) was at the age of 15. I only got as far as chapter six, for which the publishing world should be thankful. I've always been able to turn my hand to crafts, too. I've done lapidary work (gemstone cutting) and a bit of pottery. For a few years I made my living designing and selling high-end rag dolls and clowns. Then for twenty years I was a singer with vocal harmony trio, Artisan (http://www.artisan-harmony.com). I never really stopped writing, though. It took me some time to actually believe I was good enough to try for publication. From selling my first short story to selling my first novel took about 16 years. Write. Write often. Finish what you write. Rewrite. Grow a thick skin. Learn from your mistakes. Read a couple of 'how-to' books, but don't read so many that you don't have time to write. Take advice from other writers who are further along their career path than you are. Most of all, don't give up. Often the difference between a published writer and an unpublished one is that one gave up too soon. You might also consider joining a critique group. 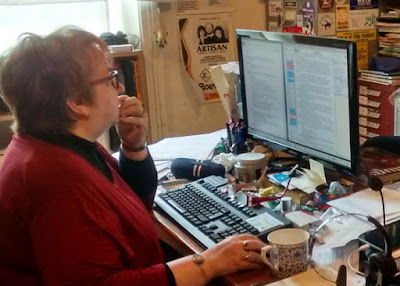 I'm secretary of Milford SF writers in the UK. We hold a full week critique event each September for published writers and a writing retreat each spring. 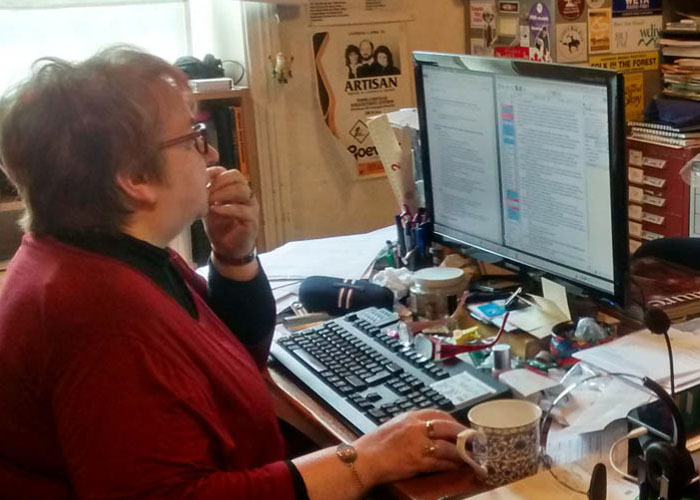 (http://www.milfordSF.co.uk) You can learn as much from critiquing other writers as you can from being critiqued. James Blish was one of the founders in the UK. Some writers who have passed through Milford have gone on to great things: Anne McCaffrey, George R.R. Martin, Neil Gaiman, to name just a few. The day job. When Artisan stopped touring, I started a music booking agency, and nowadays I do a lot of temporary immigration paperwork for musicians coming to the UK to tour. At certain times of the year, especially festival season, the day job is really busy. For those who are unfamiliar with the Rowankind trilogy, how would you introduce it? Set in 1800 it's about Ross (Rossalinde) Tremayne, cross-dressing privateer captain and witch, who likes her life on the high seas accompanied by the jealous ghost of her dead husband and a disreputable crew of barely reformed pirates. When she journeys home to visit her dying mother, Ross acquires a task she doesn't want and a half brother she didn't know she had. She's plunged headfirst into a puzzle that rapidly turns dangerous as an old enemy, Walsingham, seeks her out, but she finds an ally in wolf shapechanger, Corwen. That's the opening book. The second and third follow on naturally as Ross and Corwen ally themselves with the magical rowankind at the behest of the Seven Lords of the Fae. What part of Ross and Corwen did enjoy writing the most? I really loved writing their relationship in the early days when Ross was not sure she could trust Corwen and was getting very frustrated with him constantly turning up when she wasn't expecting him. Which of your characters do you feel has grown the most since the first book and in what way have they changed? Both Ross and Corwen have grown to take on responsibilities they never dreamed of in their carefree days. Now that Rowankind is out, I'm polishing another historical fantasy book that's mostly finished. It's called The Amber Crown, and it's a stand-alone set in an analogue of the Baltic States in about 1650. It starts with the assassination of a king, and has three independent viewpoint characters: Valdas the king's (failed) bodyguard who swears to find the culprit, Mirza the Romani healer and witch who has been given the task of helping Valdas by the ghost of the murdered king, and Lind, the assassin, who has more hangups than a wardrobe full of coathangers. I'm enjoying the complexity of the characters and the twisty plot. We don't really take much notice of Halloween in the UK, though of late it's becoming a bit more Americanised and commercialised. All we used to do was tell ghost stories to scare each other (and the kids). The first time I got trick or treaters to the door they had to explain to me what it was. I did help to run a Halloween party for local kids at our village hall and I made a fabulous dead man's hand by stuffing a rubber glove with hot dog sausages down each finger and pouring in strawberry jelly (jello) and setting it in the fridge. It felt remarkably real as you squidged the fingers and felt the 'bones' (sausage) underneath. I also made a brain out of an overcooked (whole) cauliflower painted with grey food colouring. I can't remember. Not very much. My best-beloved took me out for (an expensive) dinner on our wedding anniversary, which is only few weeks before my birthday. Both my kids Skyped me on my birthday, which was nice. Our son teaches at Virginia Tech State University, so he's on the other side of the Atlantic, and our daughter is over 200 miles south, on the other side of London. Sing with a choir or a bunch of like-minded people. The communal spirit is amazing, especially if you can manage harmonies. Good heavens, I don't know. We're all composites of everything we've ever read and everyone we've ever met. I don't think anyone has ever swayed me from the path I intended to take or nudged me along a path I didn't intend to take. I've always been pretty self-motivating. I've probably absorbed little bits from lots of people. I'm always happy to talk to readers either via my blog or facebook feed. Don't be shy. My email address is on my website. What do you do with a feral wolf shapechanger who won't face up to his responsibilities? How do you contain magical creatures accidentally loosed into Britain's countryside? How do you convince a crew of barely-reformed pirates to go straight when there's smuggling to be done? How do you find a lost notebook full of deadly spells while keeping out of the clutches of its former owner? How do you mediate between a mad king and the seven lords of the Fae? It's 1802. A tenuous peace with France is making everyone jumpy. The Fae, and therefore Ross and Corwen at their behest, have unfinished business with Mad King George, who may not be as mad as everyone thinks--or if he is, he's mad in a magical way. The Fae have left mankind alone up to now because they don't care to get involved with mortals, but don't be fooled into thinking they're harmless. Thank you JACEY BEDFORD for making this giveaway possible. 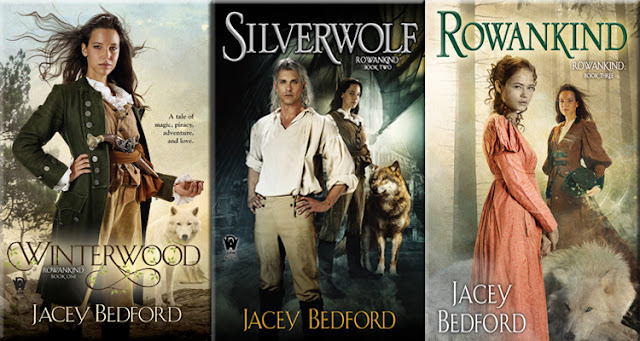 1 Winner will receive a Copy of Rowankind (Rowankind #3) by Jacey Bedford. "In one sentence, how would you sum up the internet?" The Internet is a plexus of anomalies.